This poignant snapshot of a marooned Austin Seven Saloon was recently found on eBay. 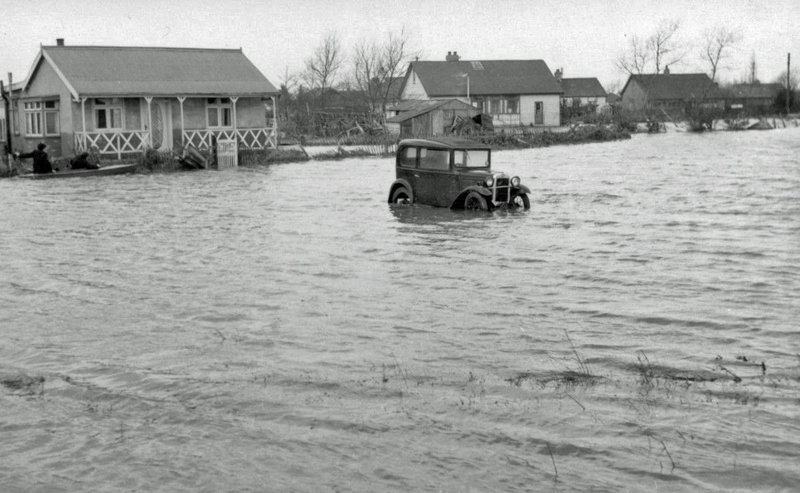 It’s simple caption of ‘1953 floods’ masks the horror of the night of 31st January 1953 when a high spring tide combined with a storm surge in the North Sea resulted in devasting floods along the east coast of the U.K. and along the west coast of northern Europe. There were 307 deaths in England, 19 in Scotland and a staggering 1836 lives were lost in the coastal regions of Holland. Belgium didn’t escape unscathed and 28 citizens lost their lives in West Flanders. Canvey Island in Essex was badly hit when the inadequate sea defences were breached by the surge, resulting in 59 deaths.